This MacBook Air suffered damage that caused the entire display to appear dark except the very top left corner. Once the LCD panel was replaced the computer worked properly again. There is a big difference between almost completely black, and completely black. Almost completely black with a splash of color or some form of image points to the LCD panel being the issue. If the screen on your Mac is completely black after boot up, it could still be the screen, but more likely it is an issue with the logic board. In the picture above there is a little bit of image visible at the top left. 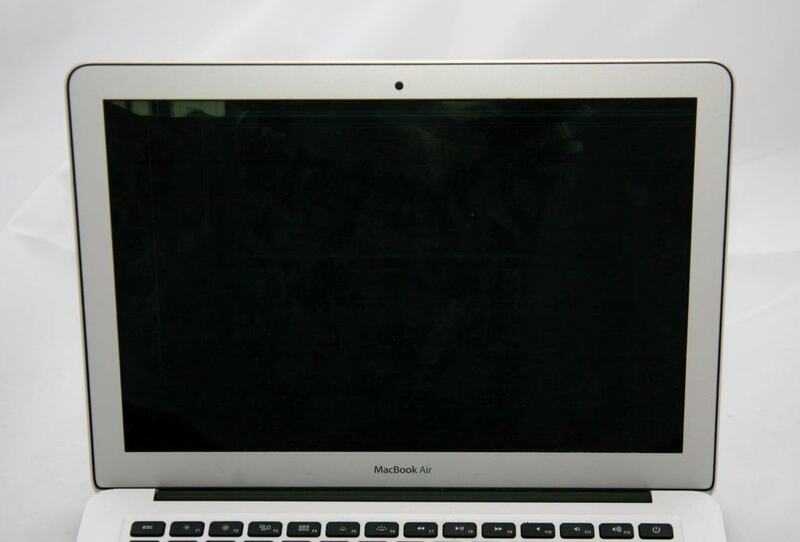 This image visible on the MacBook Air screen points to LCD damage as being the cause of the problem. There are a number of things that can cause the display to go almost completely black the picture above. The most common way by far is some sort of trauma to the LCD panel itself. 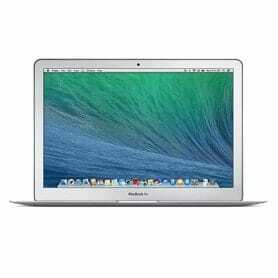 This can be a hit from the front or back, a jolt from a drop, or just the MacBook Air being “twisted” and causing a crack in the LCD panel. But no matter how the LCD gets damaged, a replacement LCD will fix the issue if your computer looks like the one above. Not sure what you need or looking for a quote? If you would like to have your computer repaired and are not sure the costs involved, please fill out this form. We will reply to you within a few hours.